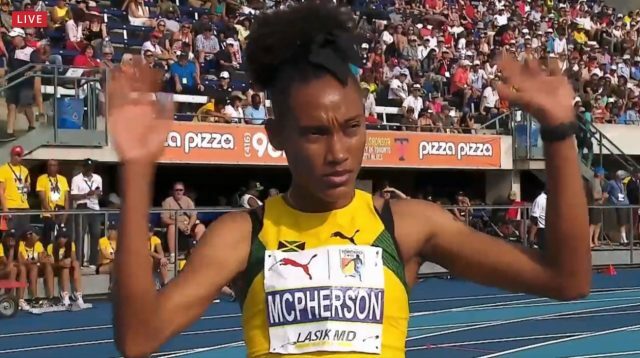 Stephanie Ann McPherson has won the 400m gold medal on Day 2 at the 2018 NACAC Track & Field Championships underway in Toronto, Canada. McPherson won in 51.15 seconds ahead of Canadian Aiyanna Stiverne, who finished second in 52.00 seconds. Jamaican Christine Day finished fifth in 53.04 seconds.